Do you check your labels? Food manufacturers must list the sodium content on the label, and many also indicate the actual salt content. Multiply the sodium content, usually given as per 100g serving, by 2.5. 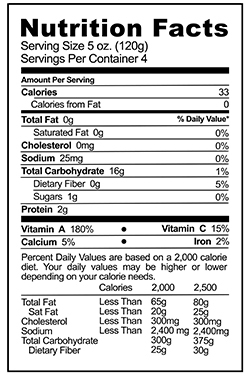 In the food label on the right, the sodium content is 25mg, or 0.025g, and so is well within the daily limit.